This gift voucher is for 3 - 2 hour surf lessons designed to improve the participants surfing ability. The recipient of this gift will book their first lesson using the unique code on their voucher. 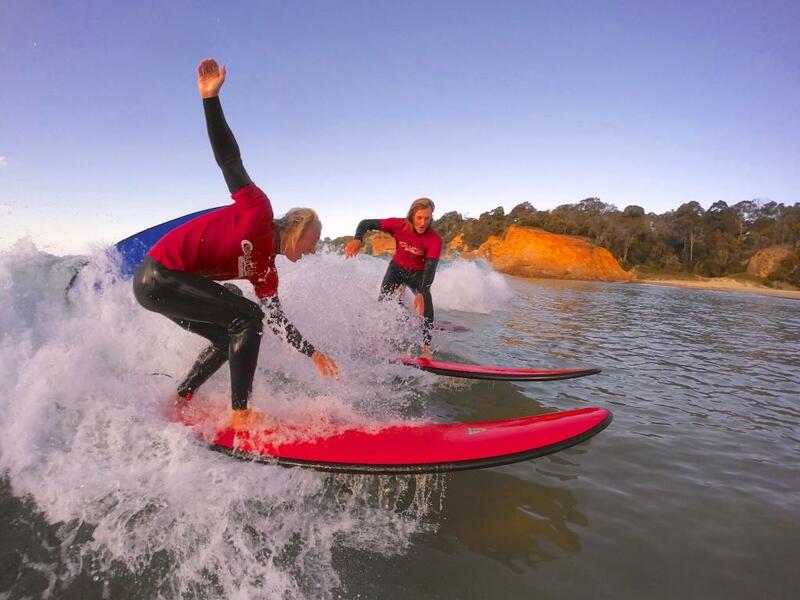 The 3 lesson package is our most popular option as it provides a progressive learning experience for keen new surfers. Each participant will learn the fundamentals before gradually developing into a confident surfer. Our qualified instructors will coach each surfer at their own pace but they have no control over accelerated fun! A great value free show bag is included with this package. Each 3 lesson package participant also receives a free Stand Up Paddle hire voucher to be used at the Coastlife Adventures Hire Trailer on Merimbula Lake, Fishpen in late December or anytime during January. Once you have booked your 1st lesson on the calendar, call our office or email to secure the 2nd and 3rd lesson dates. What to bring: Swimmers, towel, sunscreen & water to drink.